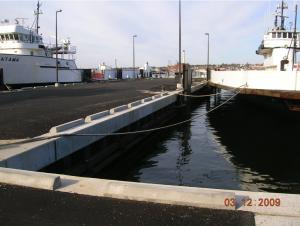 Childs Engineering Corporation was contracted to design repairs to an existing wharf that the Authority purchased with the intention of using it as a maintenance facility for their fleet of ferry boats. The wharf was an earth filled stone seawall structure. The project included an initial site investigation and condition survey. This included both underwater and topside inspections. 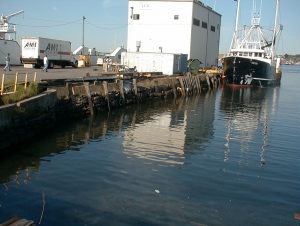 Some temporary repairs were designed and implemented by Childs since the Authority obtained the property in 2000, but a more permanent repair solution was needed and the Authority decided to rebuild the wharf completely in 2006. 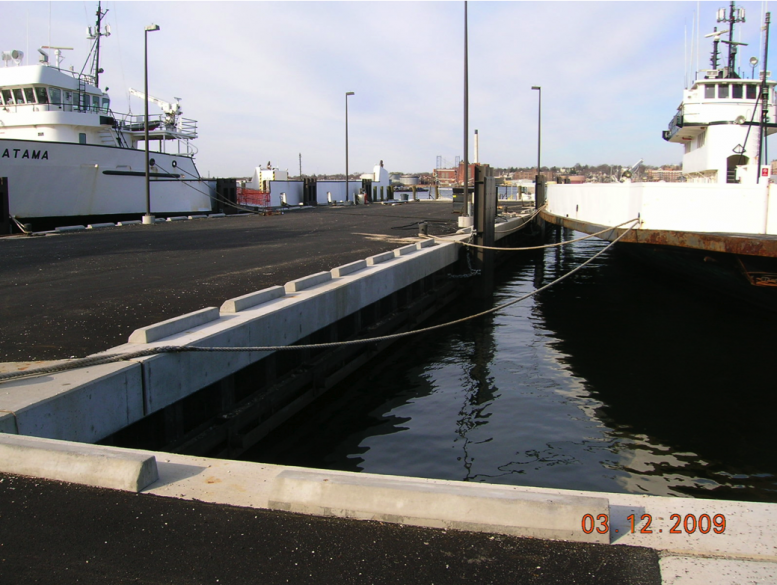 Childs designed a steel sheet pile bulkhead for the perimeter, new fender system, new mooring hardware, electrical, and compressed air systems for the facility. The outshore 270 feet of the wharf was also narrowed by 20 feet on the north side to allow for vessel berthing on both sides of the pier. The Authority also had Childs design a transfer bridge to have vehicle access to the ferries while at berth. Childs assisted the Authority in obtaining necessary permits for this project. In addition, Childs was responsible for providing construction services including submittal approvals, advising the Contractor and performing construction inspections.